We work for our Clients but we work for ourselves as well! For us it's very important to make everyone feel happy and comfortable at Kiwee. We like to celebrate small successes, like our anniversaries, but we also find time for small celebrations on a daily basis. At Kiwee we believe that people go first and ideas should grow big! Everyone has their mug at every single office but only at Kiwee we have handmade mugs with custom made design! It's a small thing but it makes us happy. 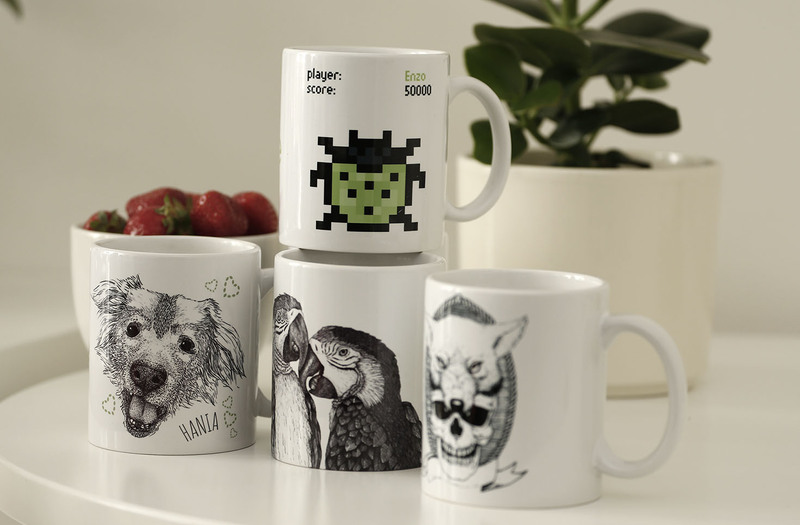 It's good to have your beloved pet on your lap and on your mug when you're at work! We also decided to bring our garden inside the office and we hanged our logo made of moss above our desks to keep spring inside even when it's snowing outside. Our office is not our home and that's good! It's the place where we can meet, create, teach, learn and have fun. And that is what it is all about!